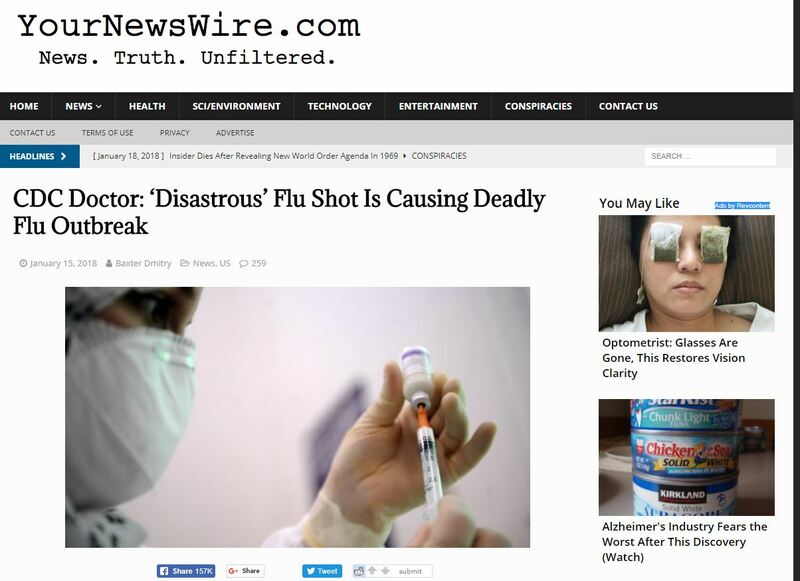 One of the most notorious fake news websites in the United States published a fake news story that the flu shot caused people to die in a flu outbreak. The fake story has since gone viral and has been copied by multiple fake news websites, including ones based in Macedonia. Nonetheless, the wildly irresponsible fake story has gone viral. As of the publication of this article, the fake story has received more than 176,000 Facebook engagements, according to social media analytics website BuzzSumo. 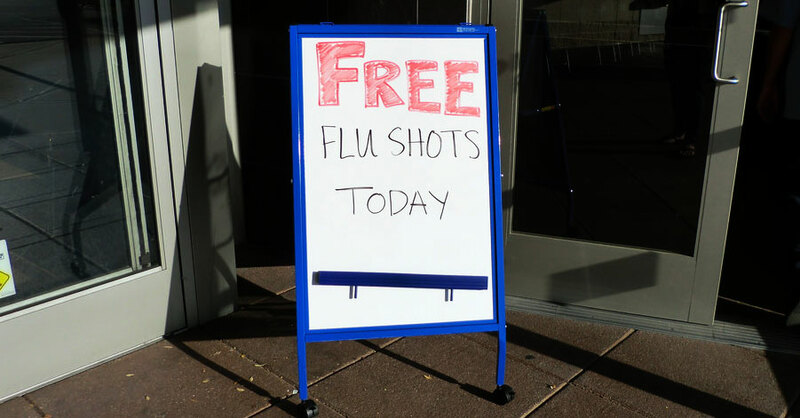 The story appears to be having an impact; some of the responses to the fake story on YourNewsWire’s Facebook pages have included reactions along the lines that the story vindicated “why I have not had the flu shot since 1990.” The fake story has also been copied by multiple other fake news websites, some of which are from Macedonia, which pushed the fake story onto Facebook as well. YourNewsWire’s foray into blatantly putting lives at risk comes as the website continues to regularly publish hoaxes, including some of the most viral fake stories of 2017. Thanks to the ad network Revcontent, YourNewsWire is able to make money off of lies, including ones such as this article that dangerously threaten public safety. 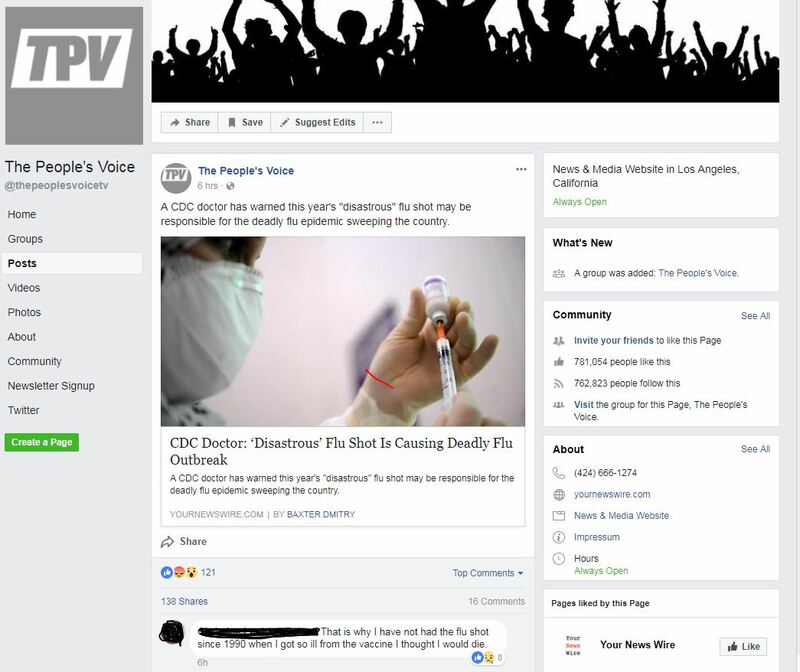 Until recently, YourNewsWire’s two associated Facebook pages were verified, lending its lies legitimacy; Facebook finally appears to have un-verified one of them. UPDATE: As of the morning of January 22, YourNewsWire’s fake story has exploded on Facebook, receiving around 530,000 Facebook engagements. This number, which continues to climb, has made it likely the biggest fake story of 2018 so far. A Nevada newspaper and a radio personality who has written for the Russian outlet RT have also shared the fake story.